NEW YORK (Reuters) - Six dietary supplements sold by Herbalife contain dangerous amounts of lead if taken according to package directions, according to information posted on a private group's website on Monday. Herbalife disputed the claim, saying its products met with regulatory requirements in all of its markets. The Fraud Discovery Institute posted a letter on its website on Monday attributed to Christopher Grell, an attorney in Oakland, California, specializing in product liability. The letter said that recommended daily doses of six Herbalife products contained levels of lead that are dangerous and in excess of what California law allows under its Safe Drinking and Toxic Environment Act of 1994. The law requires businesses to warn consumers if their products contain chemicals known to cause cancer or reproductive toxicity. An explanation of the law can be found on the website of California's Office of Environmental Health Hazard Assessment. Barry Minkow, founder of the Fraud Discovery Institute, was not immediately available to comment. A San Diego pastor who served more than seven years in jail for stock fraud, Minkow now works to uncover frauds. He has a history of criticizing Los Angeles-based Herbalife, which sells weight-loss and nutritional products through direct sales. The six products mentioned in the letter on the Fraud Discovery Institute website are the ShapeWorks Protein Drink Mix, Healthy Meal Nutritional Shake Mix, Tang Kuei Plus herbal tablets, Thermojetics Nature's Raw Guarana instant tea mix, ShapeWorks Cell Activator and Multivitamin Complex. In April, Herbalife said its president and chief operating officer, Gregory Probert, had not finished his MBA degree as stated in his biography. The company said Probert had been enrolled at California State University during the 1980's but never obtained a degree. 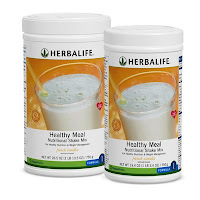 At the time, The Wall Street Journal reported that Minkow had uncovered the discrepancy about the degree, but on Monday Herbalife declined to comment on that. The newspaper also reported that Minkow had "put" options in a bet that Herbalife's stock price would fall. The letter posted on Monday on the Fraud Discovery Institute website urged California to order Herbalife to place "clear and reasonable warnings on these products so that the consumer is informed that these products contain chemicals known to cause developmental harm." Grell said in an interview on Monday that individual tablets may not exceed California's 0.5 microgram limit on lead in dietary supplements, but he said the daily recommended dosage would result in lead exposure large enough to warrant a warning label. A document purported to be an invoice from Analytical Laboratories in Anaheim Inc, based in Brea, California, for $5,820 for testing the six products was posted on Fraud Discovery's website. Analytical Laboratories did not reply to calls and an e-mail to discuss any tests. Herbalife's market capitalization, after Monday's stock decline, was $2.61 billion, based on the number of shares outstanding as of April 28. It had sales of $2.15 billion in 2007, according to its earnings statement. The company's latest regulatory filing said its products are sold in 65 countries by a network of over 1.8 million distributors. Last month, Herbalife said that Spain's Ministry of Health had issued an alert cautioning consumption of Herbalife products due to suspicious cases of hepatic toxicity, or liver damage, presumably associated with Herbalife products. Herbalife said it was in discussions with the ministry. "For more than 28 years, tens of millions of Herbalife consumers worldwide have been safely using Herbalife products with an extremely low incidence of serious adverse event reports citing liver function abnormalities," the company said at that time.